In this episode to kick off season 3 of Fire and Adjust, I go into some details of what I have been up to for the last few months as well as announce some big news about what's new for the show this season and I explain the 8 Week Giveaway Contest we are running called the Like, Listen and Win Contest. Enter the Like, Listen & Win Contest Today and get a head start on the contest, listen to the show for more details ! 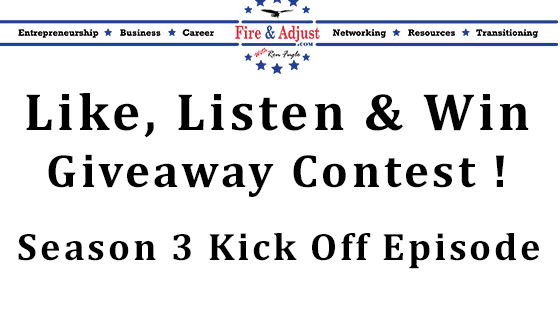 The Fire and Adjust Podcast - Like, Listen and Win Contest !